Due to continued growth, we are recruiting for an Exhibition Stand Builder within our Peterborough based Exhibition & Custom Display Workshop. This is a unique opportunity to join a growing exhibition and display company that continues to operate as a family run business, since its establishment in 1976. We serve businesses across the UK and overseas, transporting exhibition stands and custom displays all over the world. This is permanent position and will suit individuals who have experience in the exhibition and print industry. The ideal candidate would have carpentry experience as well as carpet laying, low voltage electrics and graphics finishing experience. The role will involve working within the stand building team both in the workshop and with the initial pre-build of exhibition stands as well as on-site work with stand transportation, set-up and breakdown. The team transport and install bespoke exhibition stands all over the UK, in Europe and worldwide. Weekend and evening set-up and breakdown is common place and you must be prepared to work during these periods (overtime rates apply). A candidate with a hardworking, 'can-do' attitude and resourceful approach to work is essential. As well as building custom displays we also supply off the shelf portable products with custom printed graphics and the role will involve constructing these in the workshop, fitting graphics and repacking them for dispatch to customers. Experience of graphic finishing would be an advantage. The role requires the build and de-rig of exhibition stands at events and the participation in the loading and unloading of heavy exhibition stands and equipment onto vehicles is a regular part of the role. Because of the amount of travel that is required to and from events using company vehicles, a UK driving licence is essential. An awareness of Health and Safety practices within the workplace is essential. If you think you have what it takes, please download a job description below and send your CV and a covering email to jennyhodson@ghdisplay.co.uk. If you would like to discuss the role further please call Jenny on 01733 570222. Join a professional team of custom exhibition stand designers, bespoke exhibition stand builders and exhibition graphic printers. We are always on the look out for talented individuals to join our growing team of custom exhibition stand designers and exhibition stand builders. If you are interested in working for an industry expert in exhibition and display solutions then why not get in touch today to discuss possible jobs in the exhibition industry. GH Display design and build high quality custom exhibition stands and custom showroom displays. Our workshops and studio based in Peterborough provide staff parking and is within a short walk to amenities within Werrington, a large village in the North of the city. We have been proudly serving the events industry for over 40 years, providing design and build services to exhibitors throughout the UK and overseas. We are a local family run business with global ambitions. We have a friendly and loyal team, the majority of which have worked for GH Display for the most of their careers. We take our employer responsibilities seriously and ensure that we provide our team with a safe and friendly environment, with development and training opportunities. We welcome ambitious individuals and reward those who are hard working, dedicated and are willing to go the extra mile for the company and our customers. 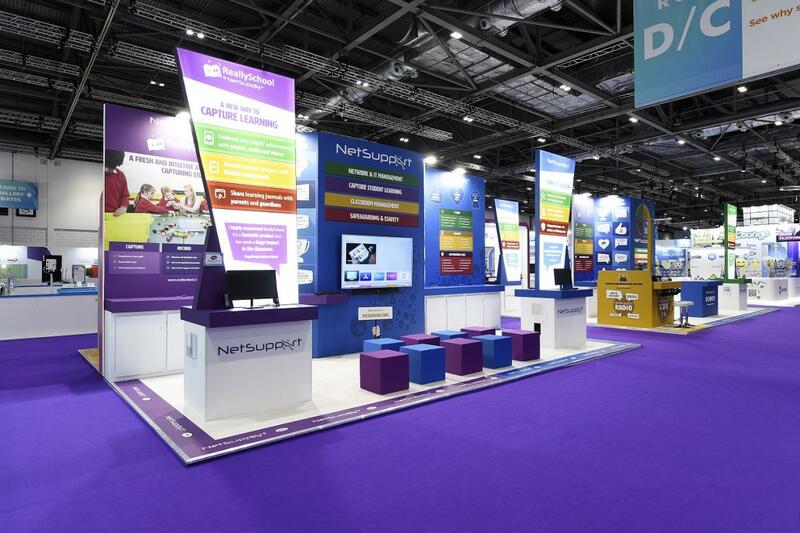 In addition to having a permanent workforce we also employ a number of self-employed exhibition stand builders, exhibition graphic designers, exhibition stand builders and display stand manufacturers. If you have a proven track record in the exhibition industry, carpentry skills or graphic design please send your CV to the email below. If GH Display sounds like the right fit for you please send us your CV to jennyhodson@ghdisplay.co.uk or write to GH Display, Bullock Road, Washingley, Peterborough, PE7 3SJ. Vacancies are advertised via our social media links. To receive notification of a new vacancy advert please follow us via the social links at the bottom of this page.